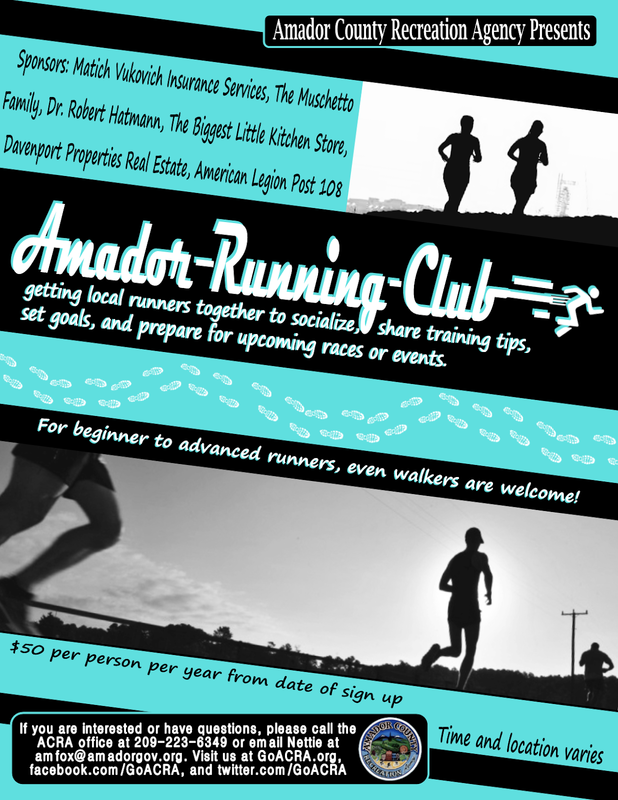 I have some quick updates for you after our Amador Council of Tourism Board Meeting last week. 1. 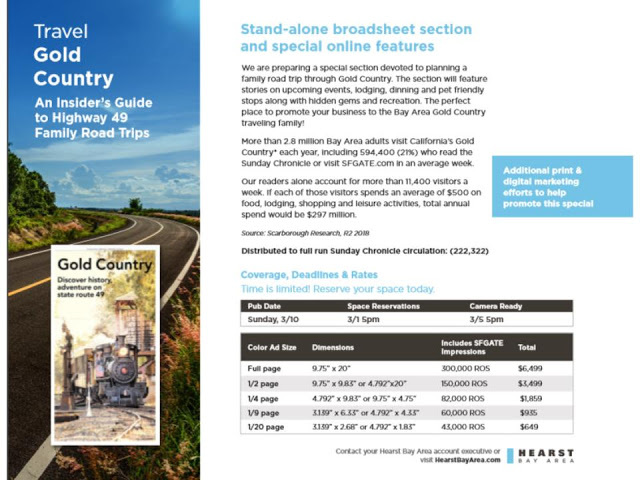 San Francisco Chronicle insert for Amador County publishes Sunday, February 3, and for Gold Country, the insert will publish Sunday, March 10. See the attached flyers with ad specs and deadlines. Please contact Claire Sumalinog, T: 415.777.7314, C: 917.631.1063, CSumalinog@sfchronicle.com. I have copies of last year’s insert at the office and the digital link is below. 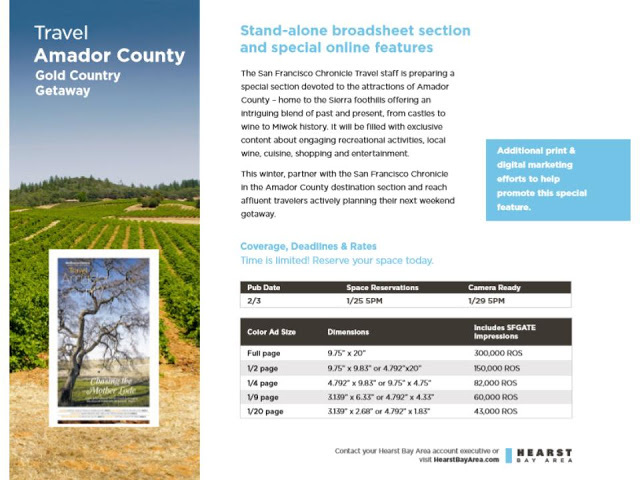 Below are the package rates & print only rates for the upcoming Amador County section. 2. Visitamador.com is getting an update and will go live in the next week to ten days. Once the new web site launches, data will be lost from the old. We have made every effort to bring in all of the files. Please forward your calendar of events for 2019 and we appreciate fresh photos as well. 3. Save the dates. Amador: A Visitor’s View is scheduled for Thursday, March 28, Kennedy Gold Mine’s Change House, 5:30 pm. Supper Under the Stars, Amador Council of Tourism’s signature fundraiser, will be Sunday, August 4, Consolation Street in Volcano. Our next board meeting is Thursday, February 14, 9:00 am, Jackson Rancheria Hotel Conference Room. Please do not hesitate to contact me with any questions. 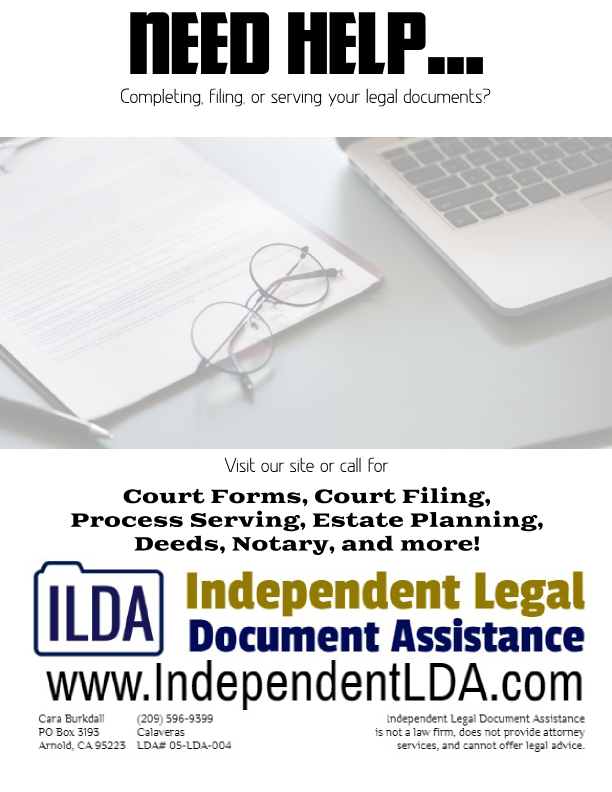 Cell is 209-969-5065 and office is 209-267-9249.